Trinity Methodist Church is on the northern side of Monksgate, opposite Agar Street. The Primitive Methodists found Ebenezer Chapel to be too small, and in 1885 purchased this present site in Monkgate. 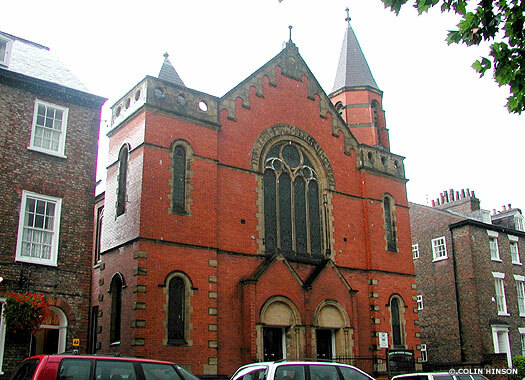 Opened as Monkgate Chapel in January 1903, it was built by F W Dixon of Manchester in red brick with stone facings. Also known as John Petty Memorial Chapel, it became the head of the York Circuit and later gained its present name, possibly after Methodist union. St Cuthbert's Church stands on the northern side of Peasholme Green, to the immediate east of central York. 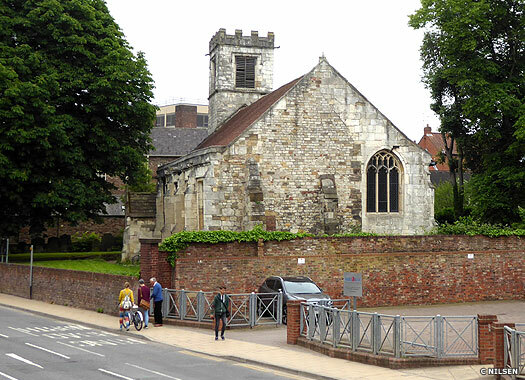 The church was built near Layerthorpe Postern on York city walls. It existed by 1087 but no other record of it predates 1238. The existing building dates to 1430 when it was restored and largely rebuilt by William de Bowes, lord mayor of York in 1417 and 1428. Roman stones can still be found in its walls, suggesting a much earlier date for the original Saxon building. The church has a nave and west tower. The porch and vestry are modern. Part of the east wall was put up in the eleventh century, but the rest is a full rebuild of about 1500, apparently to enlarge it. Since 1991, Visions Multimedia Worship have run it. Nearby, at the lower end of Aldwark, just metres west of the church, Peasholme Green Wesleyan Chapel was built and probably opened on 15 July 1759. 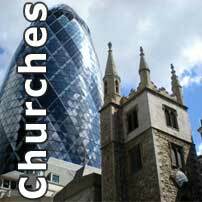 It was sold in 1806 after the Methodists moved to New Street Chapel. 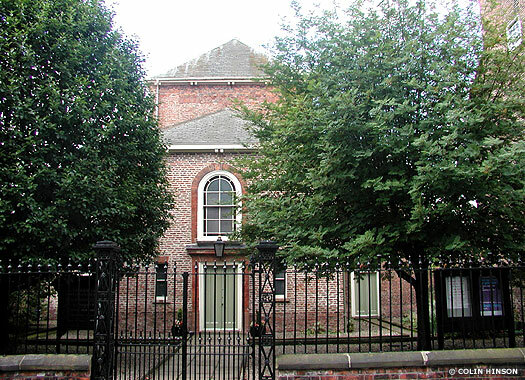 York Unitarian Chapel is on the northern side of Saint Saviourgate, very close to the junction with Spen Lane. 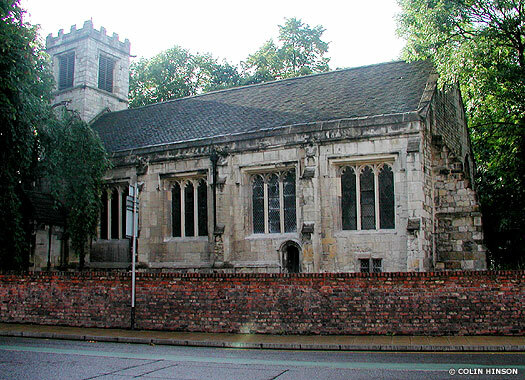 The earliest of York's surviving nonconformist churches, it was built in 1692-1693 as St Saviourgate Presbyterian Chapel after worshippers had used private houses since 1672. It was also known as Lady Hewley's Chapel, after one of their key supporters and benefactors. The brick building is in the form of a cross. The land around it was used as a burial ground.